I’m filled with tenderness for the town of my birth. A place like an overlooked younger sibling, straining on its tiptoes, trying to be noticed, puffing out its chest and hoping it will get your attention. Westerly’s 6th special online edition is a collection of writing from and about South Australia, edited by Alexander Cothren and Amy Mead. 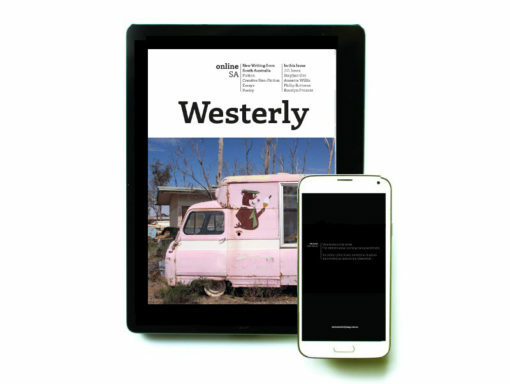 To download this free issue of Westerly Magazine, enter your email address when prompted and Westerly: SA will be delivered directly to your inbox.